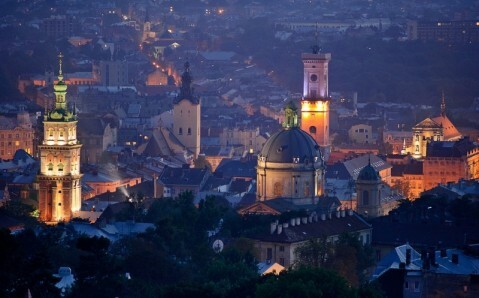 Lviv is the most unusual city in Ukraine, and its most colorful. It is one the country’s of most popular tourist destinations. Only Kyiv can compete with its beauty, grandness and number of amazing landmarks. Different eras, architectures, traditions, identities, temperaments, and histories have been woven into the common thread that is Lviv. On one hand, Lviv’s grandness inspires awe in its guests; on the other, its openness, elegance and inimitable warm atmosphere make this city one of the warmest and most hospitable in Ukraine. The capital of the country’s west, the city owes its fascinating appearance, reminiscent of Prague, Krakow and Vienna at once, to its bright and dynamic history, which has been changing and developing for over seven and a half centuries. It is thought that Prince Daniel of Galicia founded the city in the 13th century, naming it after his son Lev. One hundred years later, Lviv was ruled by Poland, given the Magdeburg Rights, and subsequently developed very rapidly, as its diverse population grew constantly. At the end of the 18th century, the city became a part of the Austro-Hungarian Empire and its name was changed to Lemberg. At that time, it became the center for Polish, German, Jewish, and Ukrainian cultures at once. It also gained a reputation for its inventions and innovations: it were Lviv’s pharmacists who invented kerosene, and a local blacksmith designed the first gas lamp. During World War II, the city went under the Nazi occupation. In three gruesome years, 150,000 people were killed in Lviv’s ghetto, and 350,000 more died in concentration camps. These shocking executions greatly changed Lviv's demographics. The city itself became a part of the Soviet Union in 1944. 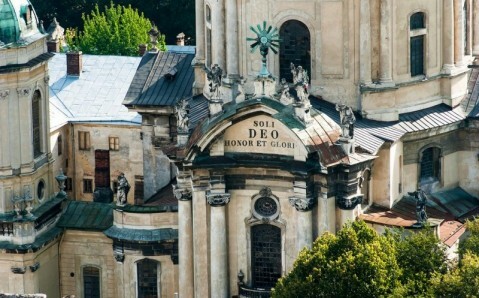 The unyielding sieges and occupations over the centuries of Lviv’s history contributed to the formation of a powerful national identity, which helped Ukraine gain its independence in 1991, with Lviv as its spiritual capital and keeper of national identity. Architecturally, the city manages to combine its European influences with Soviet-era leftovers in a remarkable manner, giving the city a peculiar charm. Despite being a rather large city, a unique calmness prevails here. It makes for pleasant strolls through the city’s narrow cobblestone streets, filled with a medieval atmosphere. Lviv’s historic center can be called an outdoor museum. For good reason, it was included on the list of UNESCO’s World Cultural Heritage sites – it has nearly two thousand historic, cultural and architectural monuments. The heart of the city, the Rynok Square, amazes with colorful houses, taken straight from the pages of fairytales. In its center stands the Town Hall, from which one can see breathtaking views of the city. You will get a good look at the Cathedral, in which elements of Gothic, Renaissance, Baroque, and Classicist architecture are successfully blended. You will also see the Dominican Church, the famous Armenian Apostolic Church and Lviv’s crown jewel – the beautiful St. George's Cathedral. 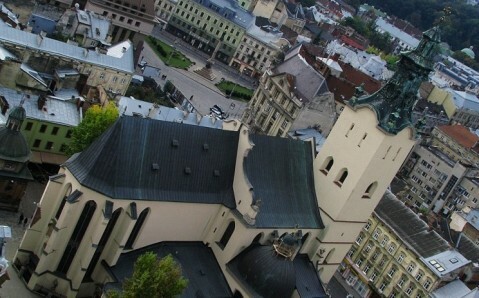 Another fantastic panoramic view can be seen from the Lviv High Castle’s sightseeing platform. All roads from Rynok Square will lead you to Lviv’s main street - Freedom Avenue. 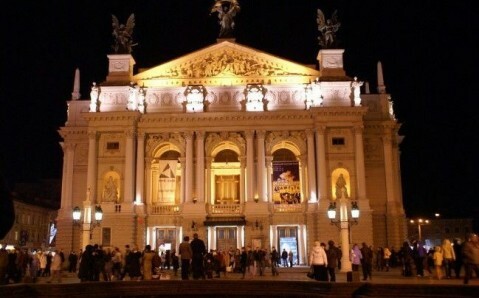 It begins at the admirable Opera House, which is considered to be one of the most beautiful in Europe. At the avenue’s epicenter stands the memorial to Taras Shevchenko, complemented by a 12 meter-high (40 feet) stele; the statue is a symbol Ukraine’s national revival. It is not possible to understand Lviv’s history without visiting the Lychakiv Cemetery, which is often compared to the famous Père Lachaise Cemetery in Paris. Buried here are important public figures, politicians, writers, and composers, from not only Ukraine, but also Poland, Austria, Armenia, and others. And of course, it is hard to leave Lviv without trying its famous chocolate or drinking a cup of its coffee, whose odor permeates the city. By the way, coffee was made popular all over Europe by one of Lviv’s own, the merchant and warrior Georgy Kulchinsky. In the 17th century, he rescued Vienna from siege, and received 300 sacks of coffee beans as a reward. Using the spoils, he founded in the Austrian capital the first chain of coffee houses, 300 years before Starbucks! A trip to Lviv always seems like journey through time and space. However much you visit this city, you cannot claim that you have seen all its sights and unraveled all its mysteries. With each visit, you will find new surprises in this city, fascinating and impressing you with its inimitable appearance over and over again. 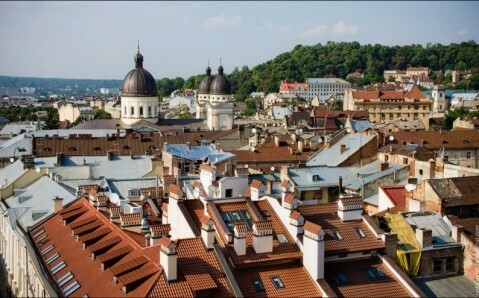 More quintessentially Ukrainian than the rest of the country, and distinctly more European, the west is all about its largest city, the Galician capital of Lviv. One of Ukraine’s great hopes for tourism, the city is a truly captivating place, rich in historic architecture and with an indulgent coﬀee-house culture, but only a fraction of the tourist hordes who choke similar city-break destinations such as Krakow and Prague. Lviv is a unique masterpiece of Ukraine. The historical center of the city is gorgeous. There are a lot to visit, especially those authentic coffee houses. I will never ever forget the coffee with cheese. The city is an amazing experience. You won’t regret it!